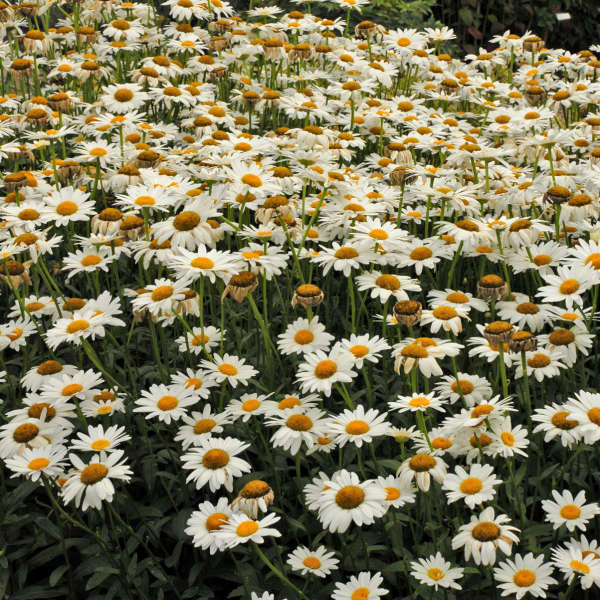 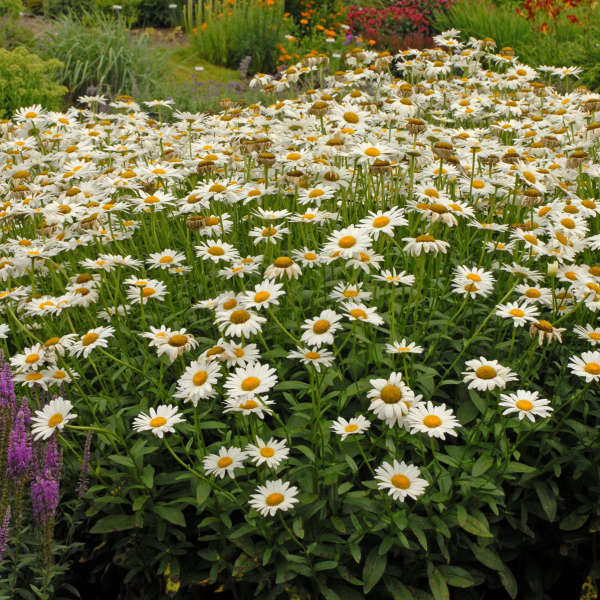 Leucanthemum superbum 'Becky' | Walters Gardens, Inc.
Prized for its durability in the hot, humid summers of the south and its cold tolerance in the north, 'Becky' has proven to be a sturdy, hardy cultivar. 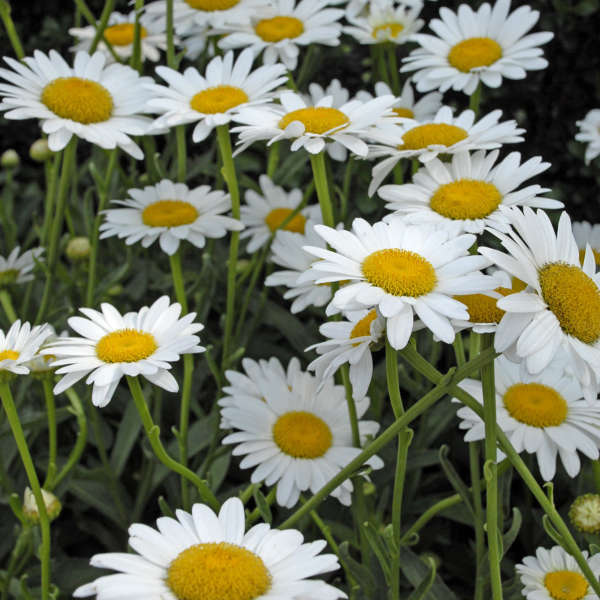 Copious amounts of very large, 3in single, white blooms are produced atop strong stems which are ideal for cutting. 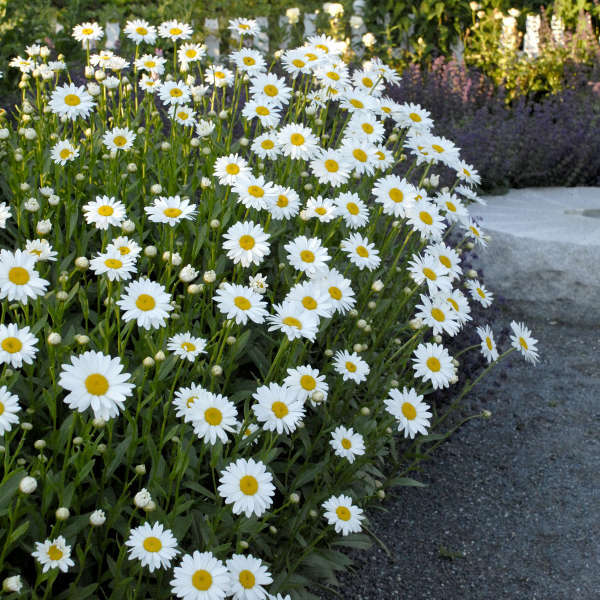 Despite its height, this variety does not usually require staking. 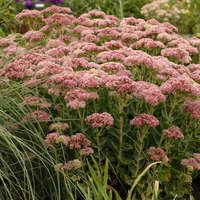 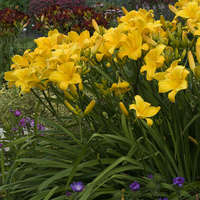 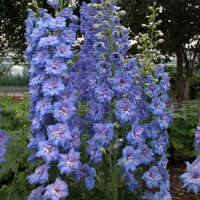 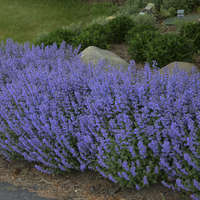 Division can be done in either spring or fall, and is recommended due to this perennial's tendency to be short-lived.